Covered in zombie blood, this machete proves its ability to slay the undead with a single swift sweep. 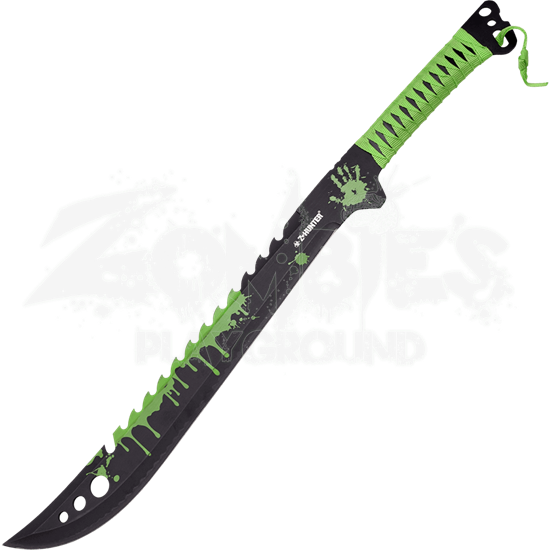 The Green Spattered Zombie Hunter Machete is a must have for any Z hunter looking to display their capability in their craft. Made from stainless steel, this weapon is durable enough to last you through to the end of the zombie apocalypse. Three cutouts near the tip of the blade lighten it, and serration on the back makes sawing almost anything easy. Green fabric surrounds the handle of the machete, giving you a firm grip as you slice and saw your way through the army of the undead. A nylon sheath is included to protect your weapon until you are ready to use it. 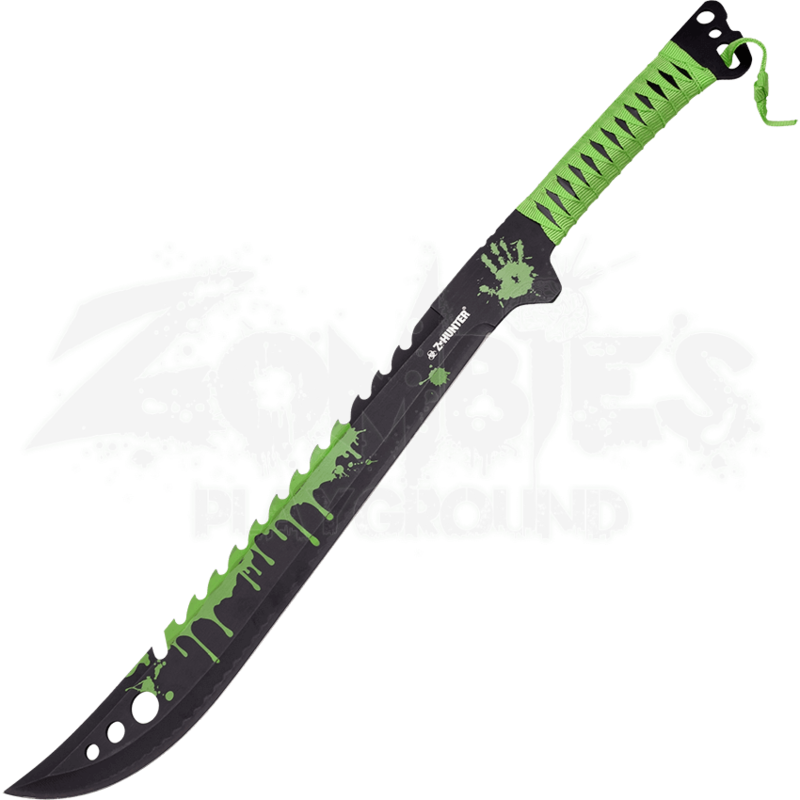 Displaying a green zombie blood graphic, the Green Spattered Zombie Hunter Machete will be your lifesaver in any apocalyptic situation.